Cozy Chicks: What Kind of Diva Are You? Christmas is nearly here, barely a week away! It’s every domestic diva’s favorite time of year. I always say that each of us has a little bit of domestic diva in us. A. The day after Thanksgiving. C. Mailed? E-greetings are nice and you don’t have to send them until Christmas Day. A. You lay out all the decorations on the dining room table so they’ll coordinate perfectly when you hang them on the tree. You always have more than one tree, and each one has its own theme. B. Make hot chocolate, put on a Christmas CD, and have fun decorating with the kids. C. Pay neighborhood kids to put it up and hang ornaments. It always looks like Charlie Brown’s tree anyway. A. Set up a special tree in the guest room and decorate it with gingerbread cookies the kids made just for Nana and Papa. B. Nestle candles in fresh pine and berries on the dresser and add some Christmas pillows to the bed and chairs. C. Seriously consider booking a cruise and leaving a note on the door. You relent and get them a hotel room. 4. It’s December 16th. You’re supposed to go to a cookie swap tonight. A. No problem. You baked a dozen different kinds of cookies and they’re ready to go in adorable cookie bags on which you hand-painted glittery snowmen. B. You baked five batches of cookies, one a week for the last five weeks. Three batches have been consumed. You’ll take the other two batches and bake more this weekend. C. No one said they had to be home baked. You buy them at a bakery and bring them in a Rubbermaid container so it will look like you made them. A. Bring homemade cupcakes decorated with snowflakes and Christmas trees for your child’s entire class, and a lacy shawl that you crocheted for the teacher. B. 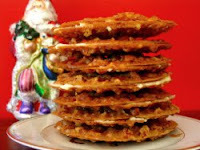 Bring a platter of Christmas cookies for the class and fudge for the teacher. C. Stop by your favorite cafe for a latte and a cookie with your child on the way home from the pageant. Teacher? Whoops! A. Was finished by the last day of Thanksgiving weekend. B. Is almost done, but the little snow village with lights isn’t quite finished yet. C. Consists of a wreath for the front door and antlers for your cat -- if you could only remember where you put them . . .
A. Standing rib roast with horseradish. Twice baked potatoes with white truffles and porcini. Peppermint chocolate cheesecake flambé for dessert. B. Roast turkey, sweet potatoes with marshmallows, three kinds of stuffing, cranberries, and a Yule Log for dessert. C. In a Chinese restaurant with fortune cookies for dessert. If you have picked mostly A, you are a Natasha. This is your season to shine! You love crafts. There’s nothing too difficult or time-consuming to tackle. You always have the best decorated house in the neighborhood, and you deliver baskets of your famous Christmas morning croissants to all your neighbors every year. If you have chosen mostly B, you are a Sophie. You love Christmas, but you also like to take the time to smell the cinnamon and nutmeg. Your kitchen is decorated for the season -- a good thing since family and friends like to hang out there. If you have selected mostly C, you are a Nina Reid Norwood, an anti-diva. You’d really rather go on that cruise and let someone else do all the work. No cooking, no dishes, no decorating or (ugh) putting everything away again. But your inner domestic diva slips out and shows around the holidays. You want everyone to have a good time, and you love to eat, so you might just be caught making hot chocolate and a Christmas morning casserole. No matter what kind of domestic diva you are, Merry Christmas! Remember to relax and savor the special moments. Read more about Natasha, Sophie, and Nina Reid Norwood in the Domestic Diva Mysteries. The first in the series, THE DIVA RUNS OUT OF THYME, was nominated for an Agatha award. 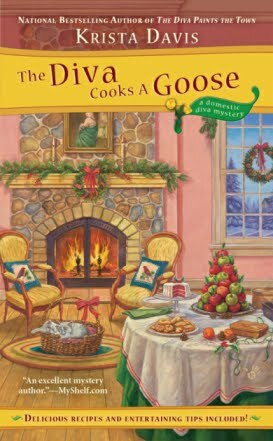 The most recent release, THE DIVA COOKS A GOOSE has a holiday theme. 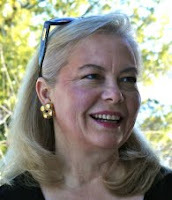 Visit Krista at her website http://divamysteries.com and Mystery Lover’s Kitchen http://mysteryloverskitchen.com where she blogs with other culinary mystery authors. It appears I am a Sophie. It works well for me. I sometimes think it would be interesting to be more organized, but I just didn't get that genel. I still love the season. I am Nina and I love the spirit of Christmas. Ohhh, there's a little diva in a lot of us. :) I spent years & years & years as a diva who just LOVED the holidays. 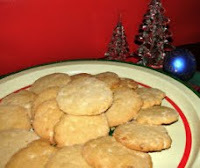 Cooking & entertaining---open houses with my special recipes, and decorating. I used to pour over those Christmas magazine issues for decorating ideas & new recipes. I started a tradition of making special decorations with my kids when they were little until teen years. We still hang those decorations during the holidays. Lots of wonderful memories. Miki, I'm a Sophie, too. It's a good middle ground! Dru, somehow I expected that you would be a Nina Reid Norwood! LOL! You would fit right in with the real Nina, Reid, and Norwood on whom the character is loosely based. Aimee and Kristine, you're cracking me up. Sophasha and Sophina! How clever! Maggie, I still want the recipe for your special holiday black beans! Used to be an A when kids were little. Now that they're grown and I'm retired, I'm definitely a B, with a little bit of C. But I love having them all home for Christmas. That's the best gift of all. Loralee and Leann, I guess some of us move through those types, likes stages, over the years. I never thought of it that way. I have delusions of being a Natasha, but am much more Nina-ish. Does that make me a Ninnie-Nat? I believe I am Nina with a smidge of Sophie. I guess I'm a Sophie with a heavy dose of Natasha. Though it was hard to get past the cookie pics! Thanks for stopping by today! Folks, make sure to put the Diva on your Christmas wish list! You need something to read during the cold, January days! I'm a Sophina as well. More Sophie, but I do have Nina tendencies. It seems I'm mostly a Sophie with some bits of Natasha thrown in. My husband would be a Nina with bits of Sophie! :) I don't know if not having kids makes any difference or not, since most of our friends do have them, and we're really tight with several in particular, plus the nieces and nephews. Either way, I adore Christmas! This was fun, Krista! I'm somewhere between an "A Diva" & "B Diva". I might be more of an "A" if I didn't cram so many other things into my holiday calendar.